The “Book of ben Sirach” (ספר בן סירא, Sefer ben Siraʼ) was originally written in Hebrew, and was also known in Hebrew as the “Proverbs of ben Sirach” (משלי בן סירא, Mišley ben Siraʼ) or the “Wisdom of ben Sirach” (חכמת בן סירא, Ḥokhmat ben Siraʼ). 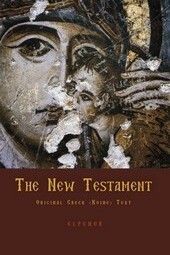 The book was not accepted into the Hebrew Bible and the original Hebrew text was not preserved in the Jewish canon. However, various original Hebrew versions have since been recovered, including fragments recovered within the Dead Sea Scrolls and the Cairo Genizah, the latter of which includes fragments from six separate manuscripts. 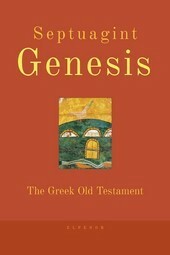 The Greek translation was accepted in the Septuagint under the (abbreviated) name of the author: Sirakh (Σιραχ). Some Greek manuscripts give as the title the “Wisdom of Iēsous Son of Sirakh” or in short the “Wisdom of Sirakh”. 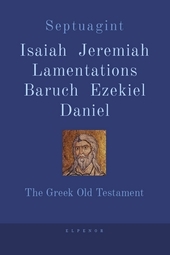 The older Latin versions were based on the Septuagint, and simply transliterated the Greek title in Latin letters: Sirach. In the Vulgate the book is called Liber Iesu filii Sirach (“Book of Joshua Son of Sirach”). 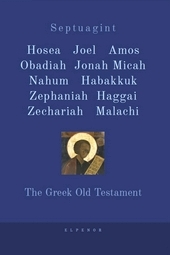 The Greek Church Fathers also called it the “All-Virtuous Wisdom”, while the Latin Church Fathers, beginning with Cyprian, termed it Ecclesiasticus because it was frequently read in churches, leading the early Latin Fathers to call it liber ecclesiasticus (Latin and Latinised Greek for “church book”). Similarly, the Nova Vulgata and many modern English translations of the Apocrypha use the title Ecclesiasticus, literally “of the Church” because of its frequent use in Christian teaching and worship. Considering the average length of two generations, Sirach’s date must fall in the first third of the 2nd century BCE. Furthermore, Sirach contains a eulogy of “Simon the High Priest, the son of Onias, who in his life repaired the House” (50:1). Festschrift M.Gilbert and other scholars[who?] posit that this seems to have formed the original ending of the text, and that Chapters 50 (from verse 2) and 51 are later interpolations. 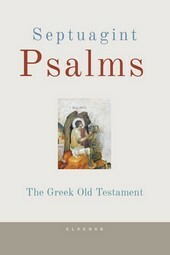 Under this theory, the second High Priest Simon (died 196 BCE) would have been intended, and the composition would have concluded shortly thereafter, given that struggles between Simon’s successors (175–172 BCE) are not alluded to in the book, nor is the persecution of the Jews by Antiochus IV Epiphanes (168 BCE). 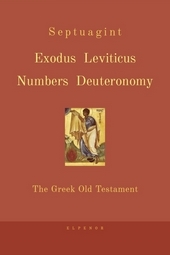 The Greek version of Sirach is found in many codices of the Septuagint. As early as 1896, several substantial Hebrew texts of Sirach, copied in the 11th and 12th centuries, were found in the Cairo geniza (a synagogue storage room for damaged manuscripts). 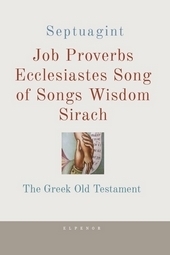 Although none of these manuscripts is complete, together they provide the text for about two-thirds of the Wisdom of Sirach. According to scholars including Solomon Schechter and Frederic Kenyon, this shows that the book was originally written in Hebrew. In the 1950s and 1960s three copies of portions of Sirach were found among the Dead Sea Scrolls. The largest scroll was discovered at Masada, the Jewish fortress destroyed in 73 CE. The earliest of these scrolls (2Q18) has been dated to the second part of the 1st century BCE, approximately 150 years after Sirach was first composed. These early Hebrew texts are in substantial agreement with the Hebrew texts discovered in Cairo, although there are numerous minor textual variants. With these findings, scholars are now more confident that the Cairo texts are reliable witnesses to the Hebrew original.